Very excited to announce successful funding of my project Engage and Interact. 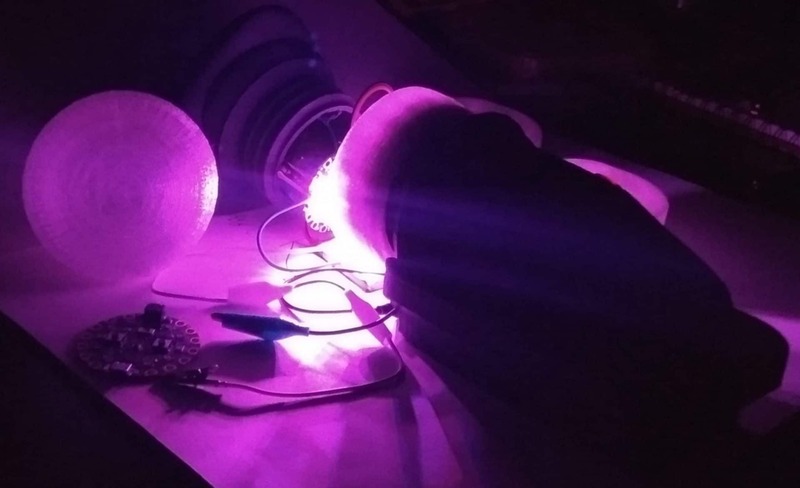 Between November 2018 and June 2019 I am researching and developing an inclusive Electric Cello performance involving audience interaction with digital and sensory arts, in partnership with Together 2012! and Disability Arts Online. Visual Description, YouTube video, in a rehearsal room playing cello, with creative technologist Charles Mathews exploring technology linking colour to cello notes, intense and changing orange, yellow, red and light purple shades projected onto a wall, the intensity of colour is shaped by the intensity of the cello notes, The shape of the colour looks like a large flaring sun shape. I will be gathering advise on lighting for relaxed performance as part of the project. Exploring wearable tactile sound technology connected to my cello. This technology was developed as part of Together! 2012 CIC’s two-year tactile sound project with Concordia University, Vibrafusion Lab Ontario. 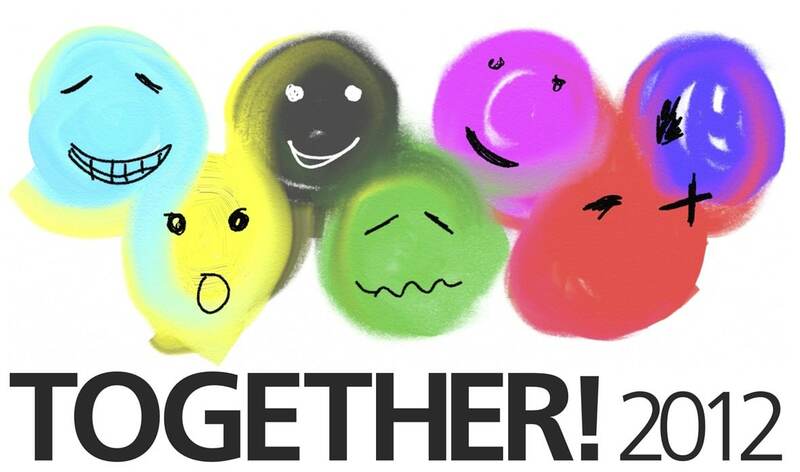 With many thanks to Together 2012! I am exploring the use of this, and also tactile sound cushions and spheres for audience use in my performance. 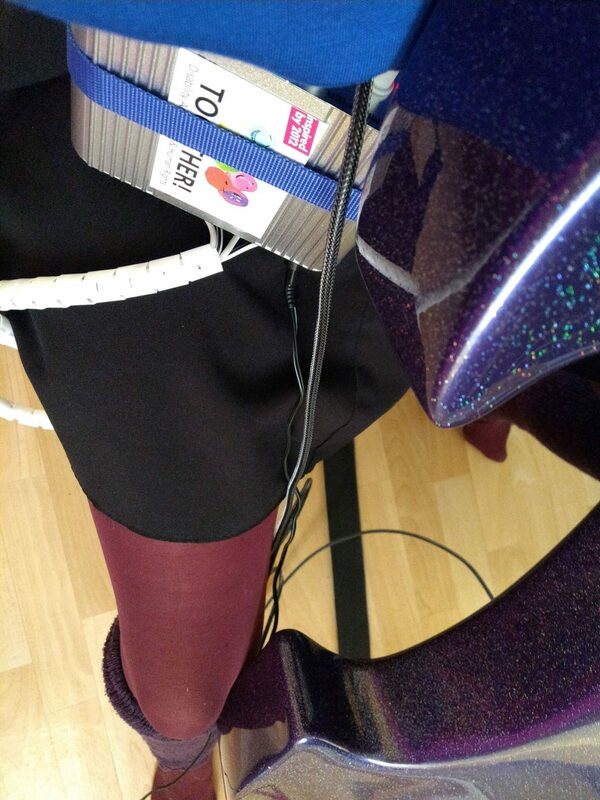 Visual Description, close up shot of purple sparkly cello, connected via a DI box to a wearable sound tabard. 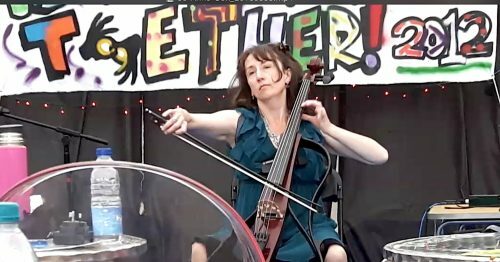 Overall funding Arts Council England, interactive (and cello reactive!) lighting supported by Help Musicians UK, designed by creative technologist Charles Mathews http://ardisson.net/a/ Please subscribe below to the project mailing list. Your email will not be used for any other purpose than the mailing list, there will be no more than 12 emails a year and feel free to unsubscribe at anytime.